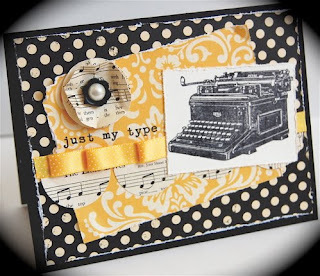 Mama Mo Stamps: Just my type! That's a pretty cool card! Love the sheet music flower. This is SO cool, Mo! 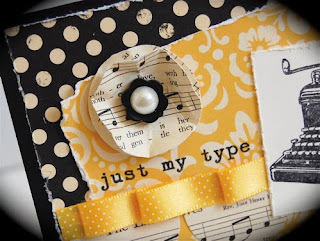 I love how you combined the papers - it's so striking! And that flower and sentiment tie it off perfectly!